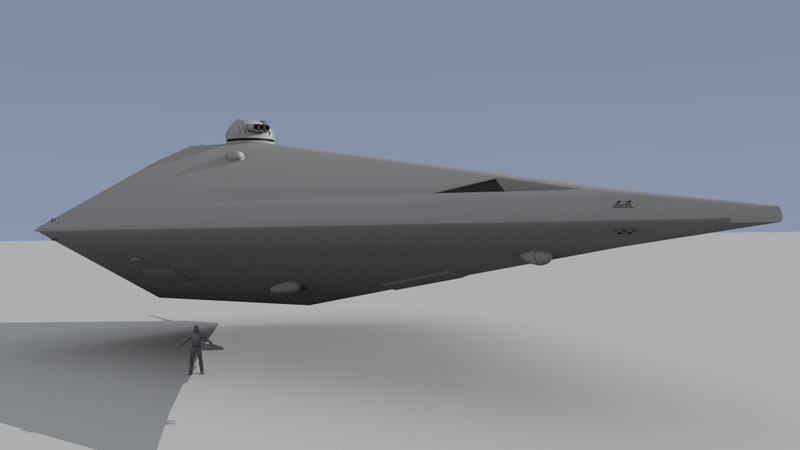 The ship uses a 100-ton Lifting Body hull, the scout/courier is intended for exploration, survey, and courier duties, with many in service throughout known space. It mounts drives giving it jump-2 and 2-G acceleration. Installed on its bridge is a computer Model/1bis and attack-range sensors. Detached duty versions have an open lounge where survey sensors would typically go. There are four staterooms and no low berths. 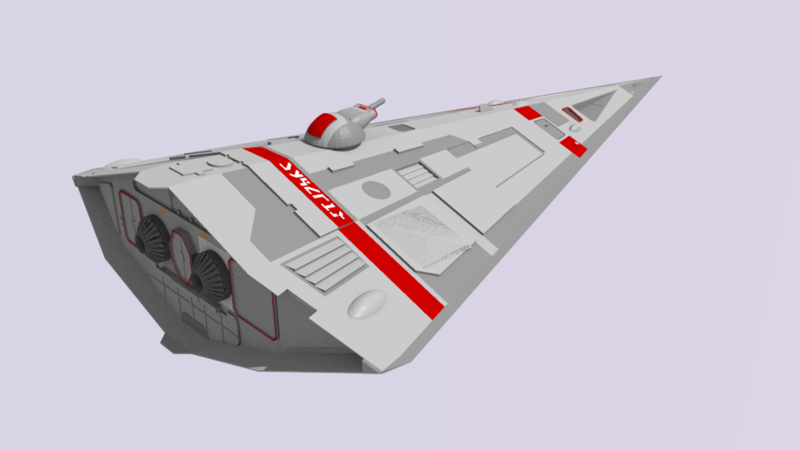 The ship has one hardpoint; installed on the hardpoint is one double turret beam laser. There is one ship’s vehicle: an air/raft. Cargo capacity is 3 tons. 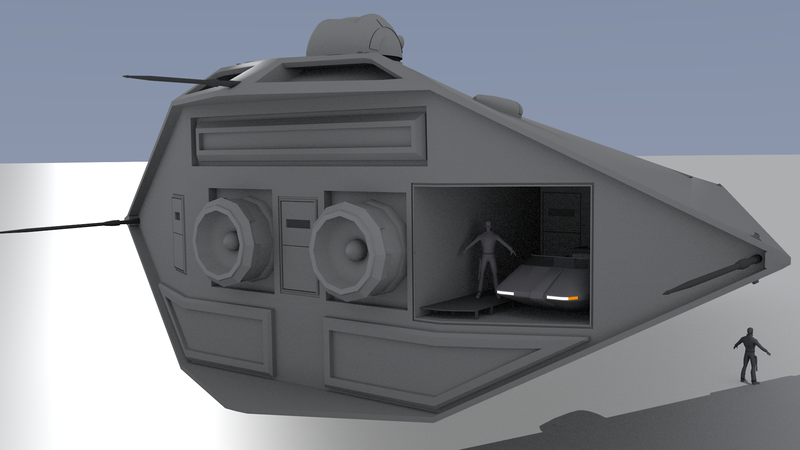 The hull has scoops, bins, and a purification plant for wilderness refueling. The Scout, by its nature, is built as a one-person operation: a single crew person can handle all operations, albeit inefficiently. On the other hand, the Scout can carry three non-commercial passengers in relative comfort, or up to seven with double occupancy. I ought to do this ship. It’s classic, it’s iconic and it’s not really my favourite. 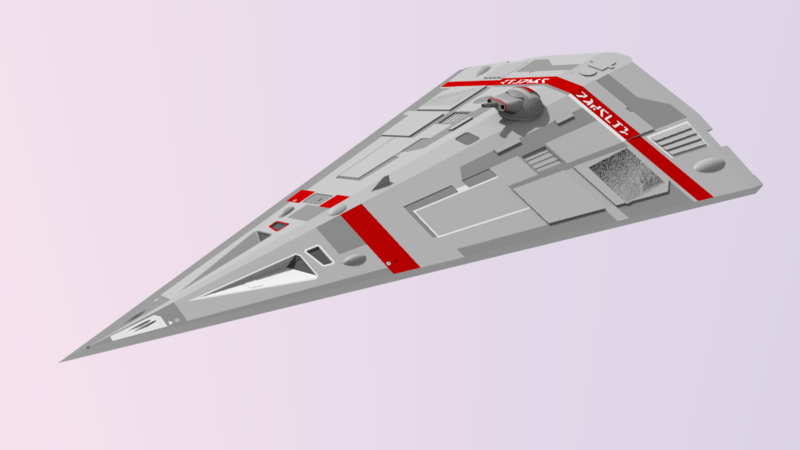 But it’s a player’s ship too and there are thousands of these scattered about any given Sector of the Third Imperium. Here’s my humble adaption. THe scale is a bit off. The ship is too large. More Updates will follow. And one with the Air/Raft garage open. Ian Steed – a well known Traveller artist and generally nice guy – allowed me to play with his variant of the Scout/Courier. The base model came in colors (see below) and I will try to give it a personal touch later.